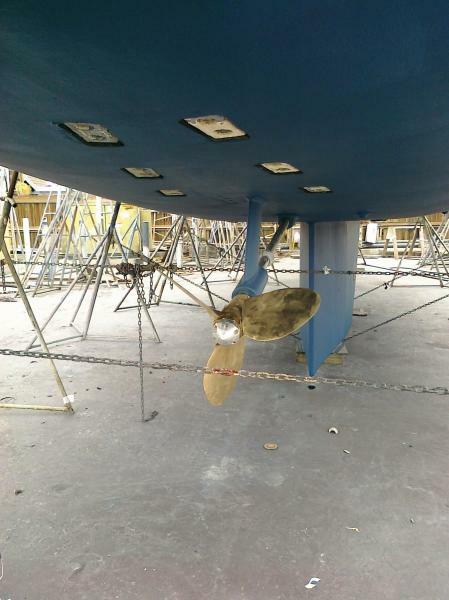 The Ta Yang Yacht Bldg. 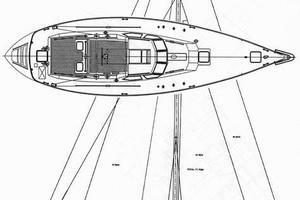 Co., Ltd has long been dedicated to producing not only the finest in yacht construction but also the most advanced cruising designs available. 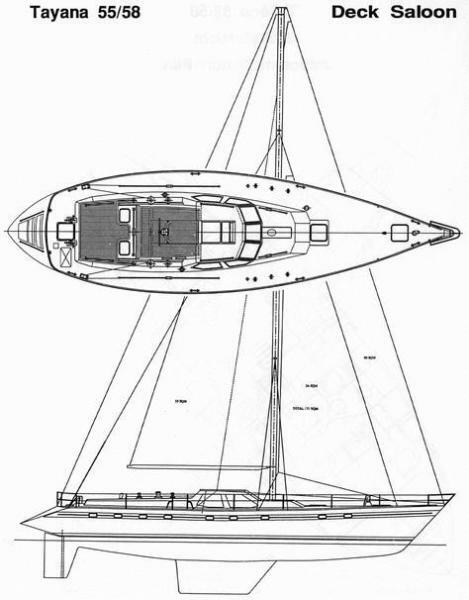 It was in this spirit that they commissioned the incomparable Dutch naval architect Pieter Beeldsnijder to design a fast, beautiful fifty five footer which incorporated the latest thoughts in yacht technology. This was a large order but it didn't stop there. 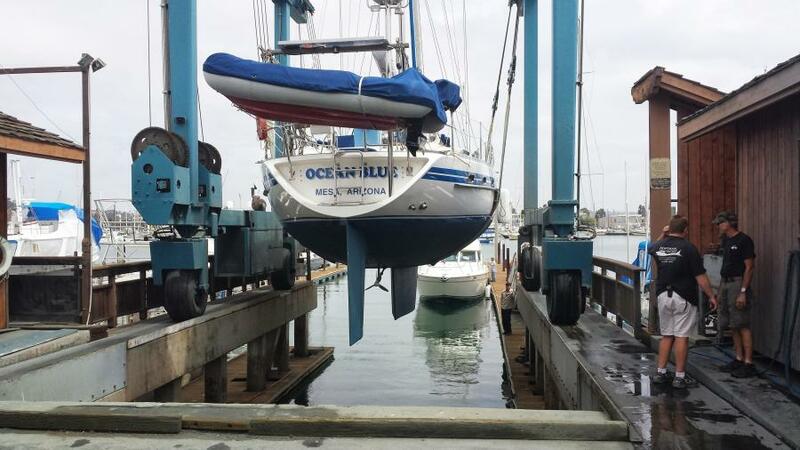 The new yacht was to combine speed with extraordinary ease of handling. Beeldsnijder decided that two underbody configurations were necessary. 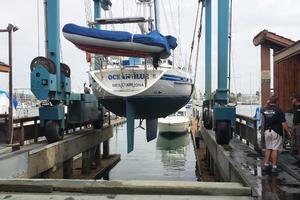 One was a deep, fixed keel for those who expected to do their sailing outside of shallow coastal waters. It is in the accommodations that her true quality is most apparent. On entering the companionway, one finds themselves surrounded by a most lovely decor of fine tropical woods and luxurious fabrics. 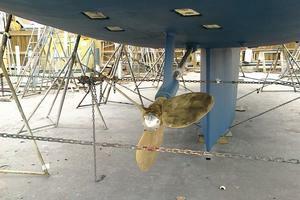 A yacht of this quality should reflect her owners requirements and fine taste. 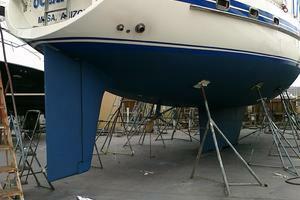 Ta Yang knows this and stands ready to customize her interior - this is a specialty of this yard. 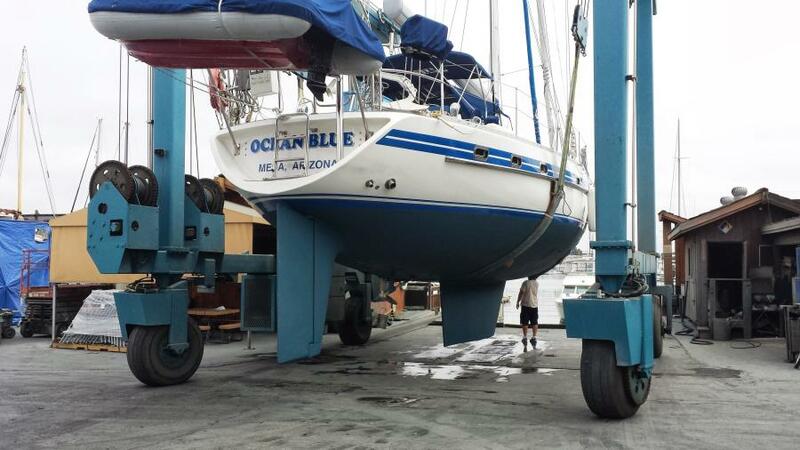 The pleasure, the safety at sea and, indeed, the outstanding resale value will reflect not only your fine taste but your wisdom and good judgment as well. 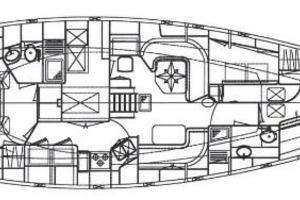 The Tayana 55 is one of the renowned cruising sailboats designed by Dutch naval architect Pieter Beeldsnijder and is considered among serious cruisers to be one of the few larger hallmark cruising yachts ever built. 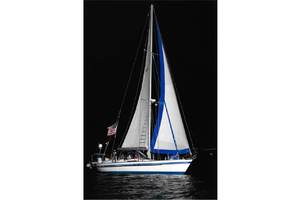 The vessel is elegant yet functional and she sails like a dream! 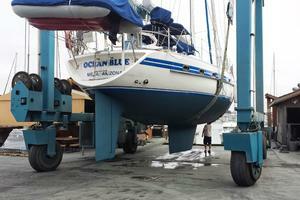 OCEAN BLUE has been significantly upgraded in the last several years and is in excellent condition. 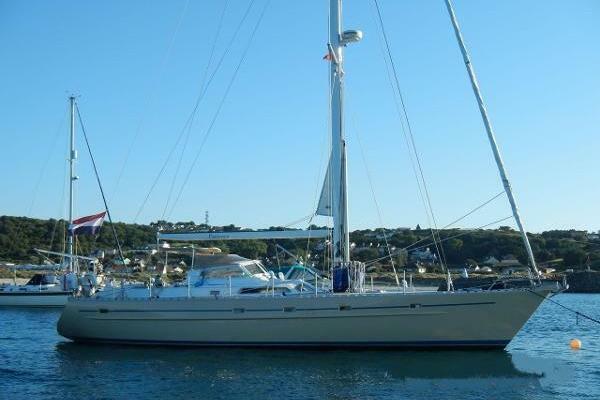 This particular Tayana 55 offers forward and aft staterooms with two single over/under bunks. Her interior is beautifully finished teak with a satin lustre and she has luxurious custom leatherette upholstery throughout. The whole accommodations are cooled (and heated) via three reverse-cycle air conditioners. 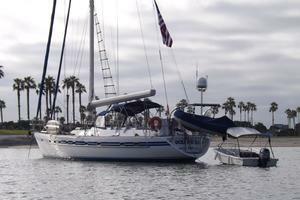 West Florida Yachts would love to guide you through a personal showing of this 55' Tayana Center Cockpit 1992. 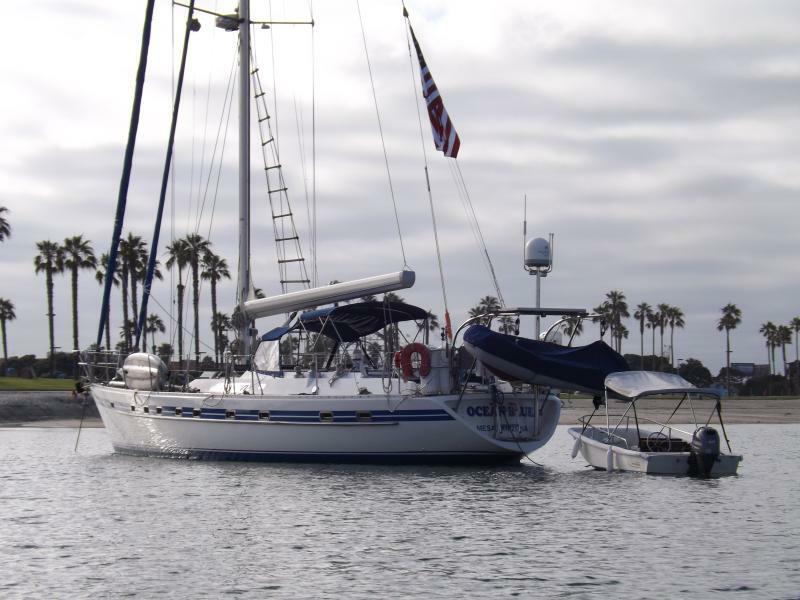 This yacht for sale is located in San Diego, California and priced at $299,000. For a showing please contact us by filling out the form on this page and we will get back to you shortly! Large desk with swing out (and locking) stool. 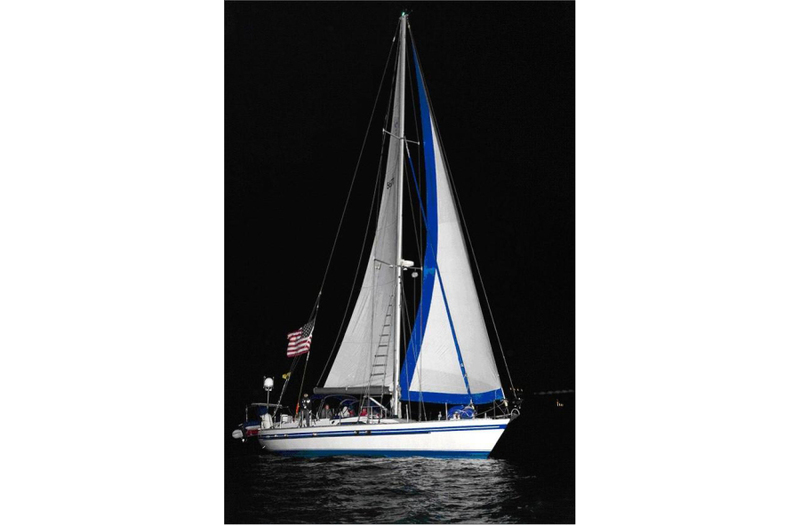 Steering - Pedestal steering, Edson cable - S-S 40" Destroyer-type wheel - Teak emergency tiller - S-S Rudder shaft Spars - Rigging - Aluminum mast(s) & boom(s); mast(s) with electric conduit, deck light(s), & halyards - Standing rigging, stainless steel with swaged terminals Sails - Mainsail, Dacron with reef points - Jib, 100 percent Yankee, Dacron - Staysail, Dacron - Sail bags for all sails - Sail covers for all sails . 6 Mustang life jackets with safety harnesses; 6 standard orange life jackets; MOB life ring in box on stern rail, flares and fire extinguishers 6. 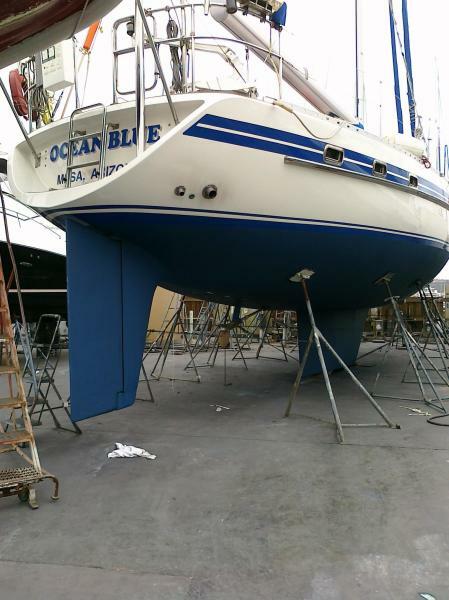 The navigation desk is located outboard to starboard immediately at the base of the companionway.